"Showing You the Way Home"
Price Reduced- Leelanau Country Estate! Stunning Contemporary Home on 24+ Acres! Year Built: 2007 "Completed in 2017"
Stunning Contemporary home with 5 BR's, 6 Baths and nearly 10,000 sq. ft. of living area. 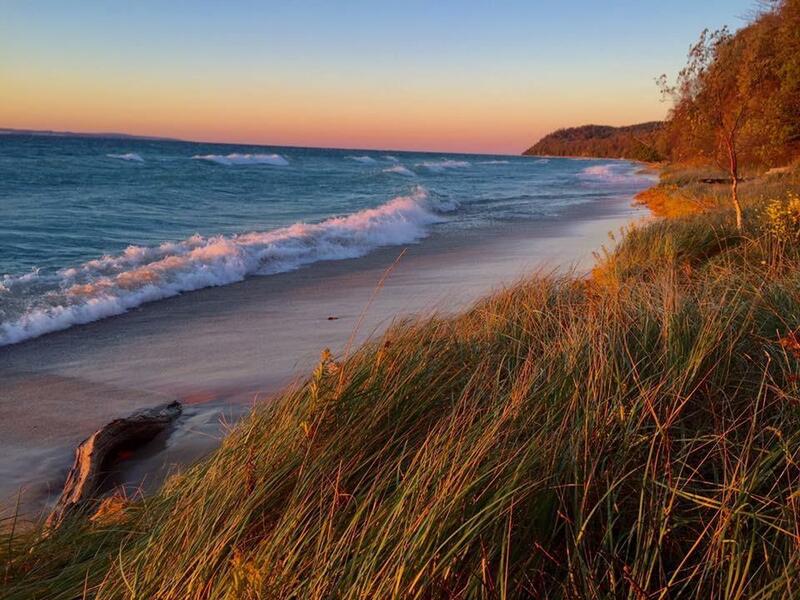 Situated on 24+ acres in an upscale neighborhood near the Village of Empire, Lake Michigan beaches and Sleeping Bear National Park. Panoramic hilltop views of the rolling countryside, Apple orchards and a horse farm. Relax on the long covered front porch and watch the clouds roll in from Lake Michigan. Enjoy magnificent sunsets, moon rises and gaze at the abundant stars in the night sky. Superb quality craftsmanship in this unique one of a kind, spacious home featuring a huge Great Room. Floor to ceiling windows & two beautiful custom built fireplaces. Wide plank maple floors throughout the main level including a long dramatic hallway for displaying your favorite artwork. Professional chef’s kitchen w/enormous center island, w/ Granite counter-tops and Top-of-the-line professional grade appliances including a Wolf Range. Sunroom/Spa has a large 6-person whirlpool tub. Fully finished walk-out lower level has a solid cherry bar with sink, custom cabinets, a home theater room, recreation room for billiards, sauna, guest bedroom suite and office. State-of-the-art mechanical systems including Geothermal heating & cooling for high energy efficiency. Stereo surround sound throughout and home security system. Caretaker’s house and barn are included for easy maintenance home and care-free ownership. This property is truly a nature lover’s dream with wildlife galore and more than a half dozen varieties of apples grown on site. Located just 30 minutes west of Traverse City and just minutes from World-class beaches and charming coastal villages. Horses and outbuildings OK.